How Do I Become an Aveda Institute Instructor? At the Aveda Institute Portland, it’s a question we hear a lot. Because cosmetology professionals know that Aveda stands for high quality, from our classroom environments and commitment to our students, to compensation packages and respect in the industry. So what does it take to become an Aveda beauty instructor? Actually, it takes a very qualified, very special individual. Do you have a commitment to excellence in everything you do? Do you like to inspire others to become the best they can be? Do you like to nurture creative capabilities in others? Do you have a firm grasp of the skills and practical techniques that hair stylists, cosmetologist, estheticians or makeup artists use every day? Great! Of course, there are some basic requirements, as well. You need a high school diploma and a full cosmetology license in the state of Oregon or Washington, depending on the campus you are interested in working at. You also need to be able to obtain an instructor’s license within two weeks of being hired by Aveda Institute Portland. At Aveda Institute Portland, one of the things we are most passionate about is helping others achieve their goals of becoming more than just a cosmetology professional. We are committed to helping each student become a shining star in the industry. That starts by setting a great example. You’ll need to project a professional image and be a role model for our students. You’ll set an example by being on time, confident and positive. And of course, you have to be organized and have exceptional verbal and written skills. Aveda Institute instructors work full-time and receive generous benefits packages. You’ll love the fact that you can earn a $250 signing bonus after your first 90 days of employment, too. Best of all, you’ll go home with a sense of accomplishment and satisfaction every day, knowing you helped our students get one day closer to achieving their dreams of being Aveda Institute graduates. 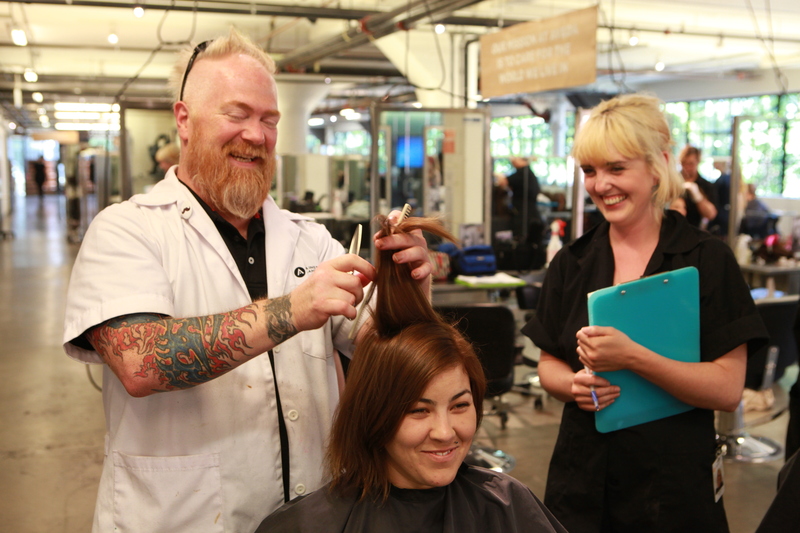 Does being an Aveda Institute instructor sound like a perfect fit? If so, we’d love to talk to you. Go here to apply! I had a wonderful experience at aveda. I went in a bit unsure about what I wanted to do and left extremely confident. I love doing makeup and facials. I find it both rewarding and exciting. I can't believe how much I learned in such a short amount of time, and Beatrice Van was there every step of the way. I can't imagine my aveda experience without her, and she really helped drive me, to improve and stay on course. I also see her now as a friend and have the upmost respect for her. I'm extremely glad that I chose to go to Aveda and am excited to embark on my new career!